Another consideration in addition to choosing the right diamond is choosing the type of metal for your perfect ring. The main distinguishing physical characteristic between gold and platinum is color. Platinum is more expensive because it is rarer and mined much less than gold. Also, platinum is more dense than gold, so the same ring will weigh significantly more in platinum than in gold. Platinum, which is naturally white, will not fade to yellow. Though both gold and platinum are strong and durable precious metals, platinum is the stronger and more durable of the two. Because platinum is more dense than gold, platinum rings will be heavier than gold as well. Some prefer the heavier weight, but some find the lightness of gold rings to be more comfortable. Lastly, platinum is hypoallergenic. While we often think of yellow gold as being pure, the yellow gold used for rings is an alloy made by combining pure gold with metals such as zinc and copper. As with other gold colors, the higher the karat amount, the higher the actual gold content, but the less durable the piece of jewelry is. Rose gold is a gold and copper alloy that is sometimes referred to as red gold or pink gold. It's unique warm colour is very popular and when combined with other metals is espcially striking. Rose gold is the strongest of the three, as copper is very sturdy and the resulting alloy is tougher than yellow or white gold. However, copper can cause allergic reactions in some individuals, and is not considered to be a hypo-allergenic metal. If shopping for someone with very sensitive skin, yellow gold may be your best choice. 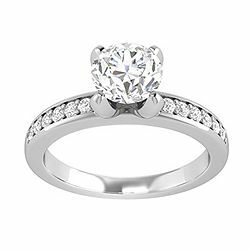 White gold rings are composed of gold, alloys, and a rhodium plating which gives it a white look that’s very similar to platinum at a less expensive price. While white gold looks very similar to platinum, over time the the rhodium plating in white gold will wear off and fade to a yellowish tinge. However when you re-polish and re-plate the white gold ring, it will look white again. 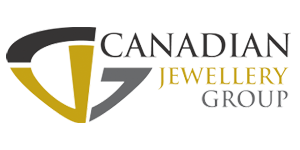 At Leduc Goldsmith's we can assist you with sorting through all of this information and guide you to choosing the perfect diamond to suit your needs. Contact us for a FREE consultation!